Mozilla has today announced that, starting in October, the Firefox web browser will begin to implement new features aimed at blocking cross-site ad tracking. The changes will make it much harder for third-party advertisers to track Firefox users' web browsing activity and, by extension, it will be more difficult for ad networks to construct personalised profiles of those users. The rollout of Firefox's new blocking features won't happen overnight, however. Instead, Mozilla has a three-step process in mind which will eventually ensure all ad tracking is blocked by default. Blocking ad trackers isn’t new to the open-source browser. Firefox began blocking pop-up ads way back in 2004, while an outright ad blocking feature was implemented in 2015, although it currently only applies to Private Browsing mode. Last year, Mozilla launched Firefox Focus on Android, which automatically blocks trackers and completely wipes browsing history when the application is closed. On Firefox for iOS, ad blocking was already available in Private Browsing mode, but earlier this year that feature was also switched on by default for normal browsing as well. Mozilla’s three-part strategy begins with blocking trackers that slow down page loads. This feature is currently being tested on Firefox Nightly, the internet company’s testing platform. If this works well, it will be added to Firefox 63 – which is currently slated for an October 2018 release – as a default feature, thereby injecting a speed boost to page loads and enhancing general performance. Following that, Mozilla plans to remove ad trackers that follow users across sites, a feature that will actively delete cookies and block third-party content storage. 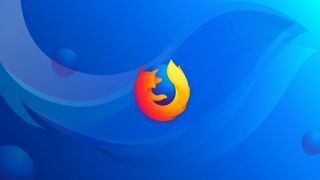 This will be tested by some Firefox users in September and, if successful, will be rolled out as a default feature in Firefox 65, due to be released in January 2019. Finally, Mozilla wants to moderate deceptive practices in other areas, like fingerprint tracking (which can be used to identify users by their devices) and cryptocurrency mining. There’s no official word on when these additional privacy safeguards will be released, or exactly how the company plans to implement them, but Mozilla has stated its intent to block these practices by default as well. Over the years, Mozilla has added features to its browser to ensure user privacy was protected. For instance, the company added an extension to keep Facebook locked in its own sandbox after the Cambridge Analytica fiasco and this, Mozilla says, “is about more than protecting users – it’s about giving them a voice”. "Some sites will continue to want user data in exchange for content, but now they will have to ask for it, a positive change for people who up until now had no idea of the value exchange they were asked to make,” reads the company’s latest announcement.